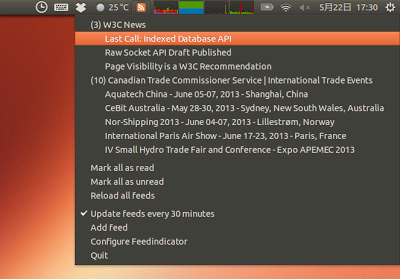 I use Feedindicator to be alerted of new RSS news. It is perfect for me in terms of UI, but it freezes randomly, making it unusable for me. Is there any similar software for Ubuntu Unity? Browse other questions tagged open-source ubuntu rss or ask your own question.